Also known in the industry as the "Bee-Plug", the LSI Cylinder Cap Bug Guard is now available to order at Label Solutions, Inc.
With two sizes available, you can easily label indoor and outdoor welding, compressed gas and medical applications. 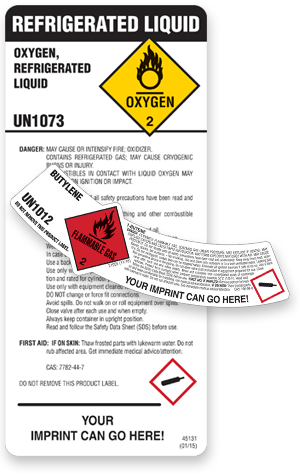 Our patented labels are perfect for announcements, open houses, new products and promotions. It’s fast, easy application helps you save time and money. Specially designed hole sizes with retention slots to speed application and ensure a tight, effective fit. Large tag conveniently applies directly over cylinder cap. Perforated and supplied in roll form for easy storage and handling. 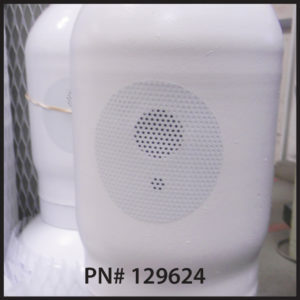 Proprietary plasticized material is formulated for indoor and outdoor use for all welding, compressed gas and medical applications. Automotive grade inks ensure long life, UV resistance and attractive inprint. Tag Size 2.0" × 4.875" 5.0" × 9.0"
Hole Size .810" ID (1.25"
max. 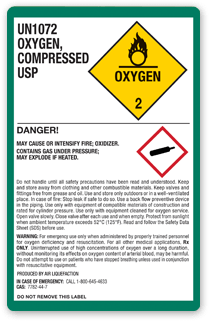 slotted ID) 2.925" ID (3.85"
Our extensive experience in the industrial specialty and medical gas industries alerted us to a need for labels that could be quickly removed without leaving any adhesive residue on the cylinder. Clean-Peel™ adhesive to the rescue. After four years of testing we developed this extraordinary label adhesive that is easy to remove and leaves no sticky residue behind. It is excellent for lot codes and keeps cylinders looking sharp. You can also change labels in seconds and reduce application costs. Label Solutions is the originator of the patented Cryoband® series. 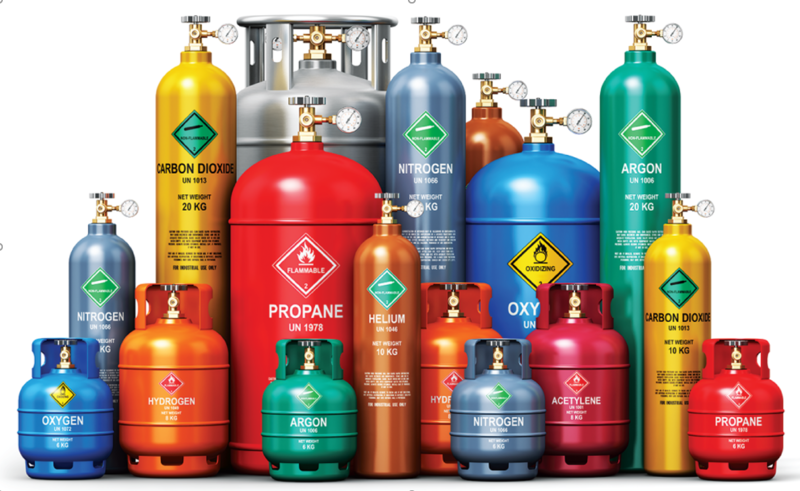 This industry breakthrough of 360 degree labels, designed specialty compressed gas cylinders, can be customized to feature your company name and logo on each label. The Cryoband II™ features a more durable laminated stock that is abrasion resistant and has a Clean-Peel™ adhesive that allows the label to be removed easily, without any glue or grime left behind. This premium product stays securely on your cylinder, resisting peeling or cracking, and is designed to last for years. 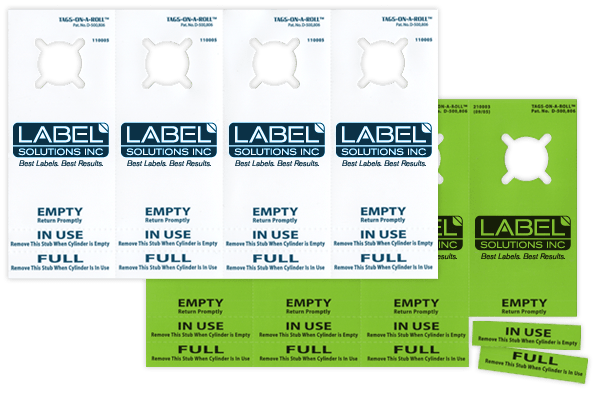 Label Solutions is America’s largest supplier of cylinder labels and we are committed to producing them in the highest quality. 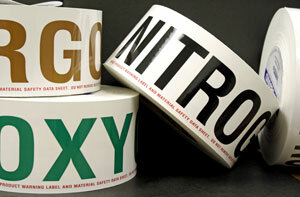 If you have artwork you would like us to use or you want to request a quote for a cylinder label, contact us today. Browse our website for more information and check out our other products. No problem. Contact one of our friendly staff representatives to find out how you can get your order back ASAP. Helping you stay compliant with the new Global Harmonization System is one of our top priorities. I wanted to be sure to let you know that your staff went above and beyond to accommodate me. I was more than pleased with my labels. I was treated as if I was a big $100, 000 customer when I only had a $40 order.